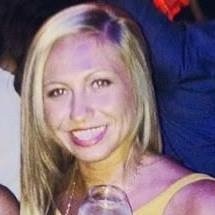 The search for Kelly Mrowinski, the traveling nurse from Chicago, entered it’s seventh day today. Mrowinski was swept down the Wailuku River following a flash flood on Friday, Jan. 26, 2018. Family and friends remain hopeful that her body will be recovered. They ask that any donations be sent to the Daniel R. Sayre Memorial Foundation. Hawai‘i Fire Department Captain Brent Matsuda said the search would be called off at the end of the day after the search was extended two days upon the request of the family. The Hawaiʻi Island Police Department is investigating the death of a tour guide in Puna. At 8:16 a.m., Thursday morning, Feb. 1, 2018, police and fire department personnel responded to the Kalapana lava viewing area for a report of a man who had collapsed in the lava field while leading a hiking tour. Investigators determined that just before 4 a.m., the group was approximately two miles inland from the 24.5-mile marker of the emergency road. Heavy steam clouds caused by the rain engulfed the group when the victim collapsed and went unconscious. Due to limited visibility and poor cell phone reception, the remainder of the group, who were not familiar with the area, hiked for several hours before they were able to call for help. The fire department’s helicopter located the victim’s body about 290 meters outside of the Volcanoes National Park boundary and on State land. The victim was taken to the Hilo Medical Center where the official pronouncement of death was made at 12:28 p.m. The three visitors on the tour, a 22-year-old woman from South Carolina, a 23-year-old man from New Jersey, and a 22-year-old man from New York, were treated by medics for non-life-threatening injuries. The victim was identified as 51-year-old Sean King of Pāhoa. No foul play is suspected and an autopsy is being ordered to determine the exact cause of death. Detectives with the Criminal Investigation Section are investigating this as an unattended death. Anyone who may have information about this incident is asked to call the Police Department’s non-emergency line at (808) 935-3311 or Detective Bobbie-Jo Sagon of the Area I Criminal Investigation Section at (808) 961-2375 or Bobbie-Jo.Sagon@hawaiicounty.gov.